1. Login to Office 365. 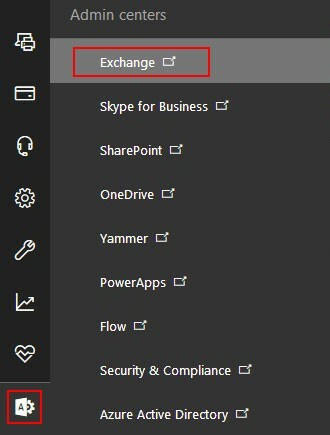 From sidebar, select 'Admin centers' -> 'Exchange' option from the popup menu. 2. 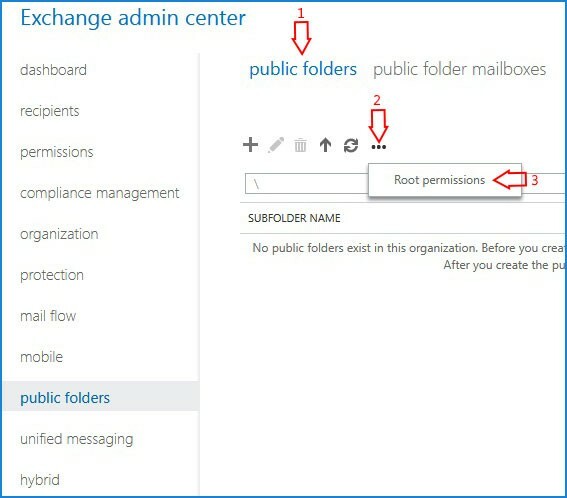 Select the 'public folder' from the list and select the 'public folder mailboxes' tab. 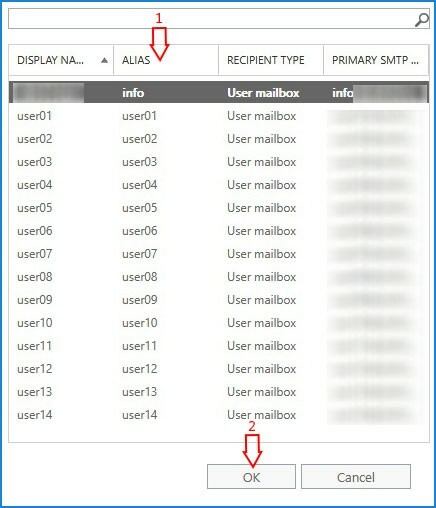 Click the '+' icon and add a new mailbox if there are no existing mailboxes. 3. 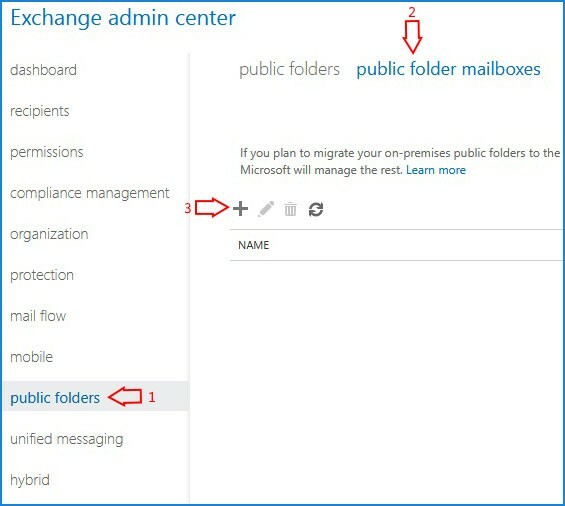 Enter the Public folder mailbox name and Save. 4. 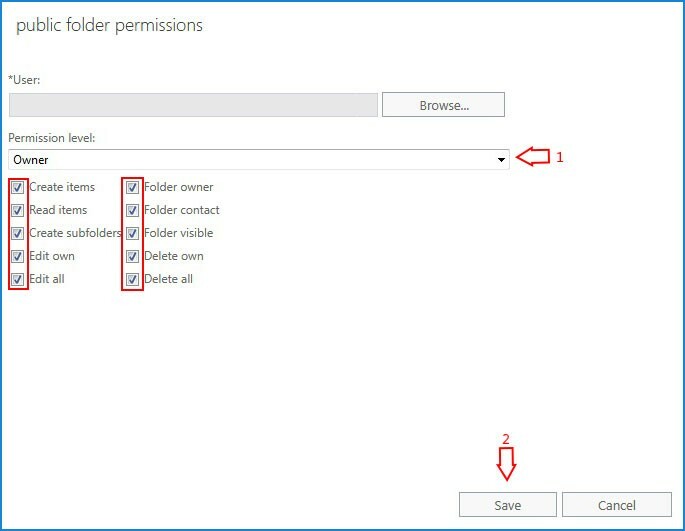 Next select the 'public folders' tab and click the last option with 3 dots '...' and click the 'Root permissions'. 5. From the Window that opened, click the '+' icon and click the 'Browse' button to find users list. Select the user and click 'OK'. 6. 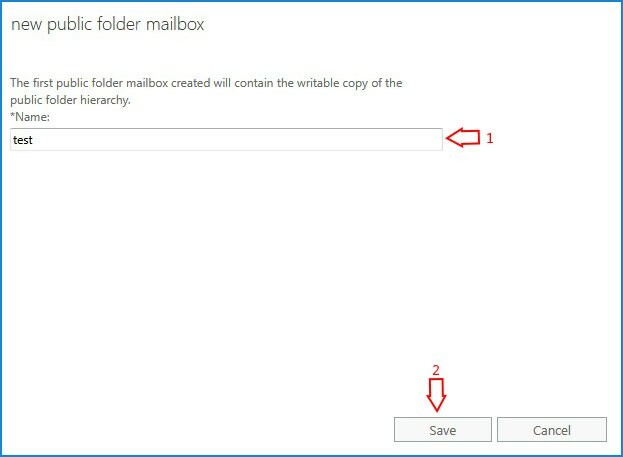 Select the user mailbox and click the 'OK' button. 7. 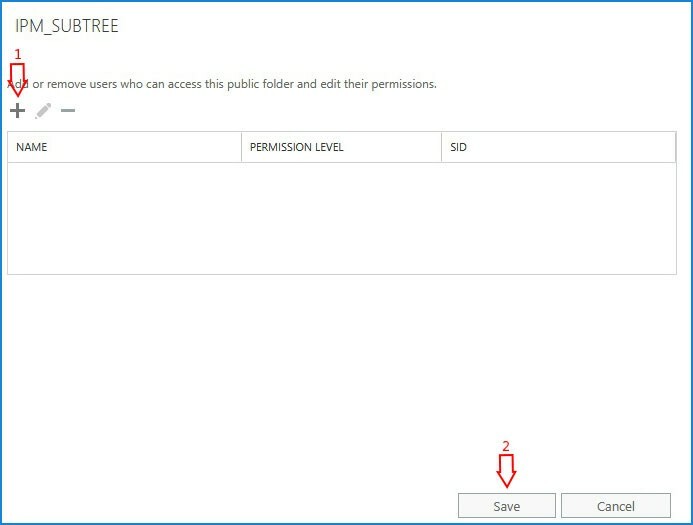 Choose the 'Owner' in permission level and click the 'Save' button. Continue the operation to save all the changes.